If you have young children, during the cold & flu season, then life can be a tad tougher than normal. Sleep deprivation can do terrible things to your body & mind. There are a few supplements that can help, however – use them at your own risk though. I first heard about Uridine on the nootropics subreddit. It is said to increase alertness, focus and energy levels. It plays a big role in the function of the central nervous system. It has also been shown to reduce some of the negative effects of sleep deprivation. There are several studies showing that glycine supplementation can increase the quality of sleep. So the little sleep you do have, will have a more beneficial effect if you supplement with 3g or so of glycine. Glycine is an amino acid that is found in connective tissue and skin. It has a range of benefits, it can help with ‘leaky gut’ by repairing the stomach lining and may also help conditions such as arthritis. It is a potent anti-inflammatory and can help detox the body from heavy metals. *please note that phenibut may be illegal in the UK now. Nobody really knows if it falls under the psychoactive substances ban. Phenibut is a supplement that was first used by Russian astronauts to improve focus and reduce anxiety. It is highly effective & potent, but can also be addictive. So use once or twice a week maximum. It can help you fall asleep quicker and improves sleep quality. The improvement of sleep quality is thought to occur due to an increased secretion of the hormone GABA. There are a few other supplements that may help with increasing the quality of your sleep, including theacrine. Sounds obvious, but another way of tackling sleep deprivation – is to go to bed earlier! If you’re child goes to sleep at 8pm and tends to get up at 4am, it might be a good shout to get to sleep early-doors yourself. A natural source of melatonin, tart cherry juice or tart cherry supplements – can help you nod off earlier in the evenings. Avoid blue light like the plague during the evenings. Blue light comes from computers and mobile phones. If possible, make the lounge and/or bedroom darker too. Your body won’t produce melatonin if you have a bright lamp or light on in every room. Red lights can help you fall off to sleep. I have a small one which I plug in during the evenings. Red light can also reduce anxiety and even help fight migraines in some people. Another trick, is to use a SAD Lamp as soon as you get up in the morning for 15 mins or so first thing in the morning. The lamp will help adjust your circadian rhythm so that you become tired earlier in the evenings. Natural muscle relaxants are also effective for those looking for an early night. Chamomile, valerian, magnesium and lemon balm are all natural and effective. Kava kava is also great if you live in a US state where it is legal. There is tonnes of research behind the effectiveness of magnesium – opt for a ‘glycinated’ form at night time. Magnesium is good for everything from stress to high blood pressure. A large percentage of the US population (50-80%) is said to be deficient in this chemical-element too. Kava Kava tops Examine.com’s list of effective supplements for anxiety. The Ketogenic Diet may also have some benefits in regards to coping with less sleep. I personally found this to be the greatest benefit during my 18 months adhering to the diet. Initially, the diet can cause issues in terms of getting to sleep in the first place. Until you fully adapt to the diet, you will produce less serotonin, a hormone related to sleep. I managed to overcome this will a small amount of 5 HTP supplementation. I’ll be going on the targeted ketogenic diet before my next child is born in July. Still tired? See our Alternatives to Caffeine blog post. 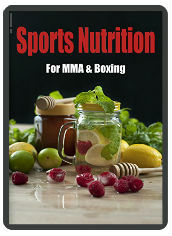 This entry was posted in Fitness, MMA, Nutrition. Bookmark the permalink.